When it comes to moving, two things become scarce: friends and packing materials. If you hire a full service moving company, we promise your friends won’t go running for the hills. 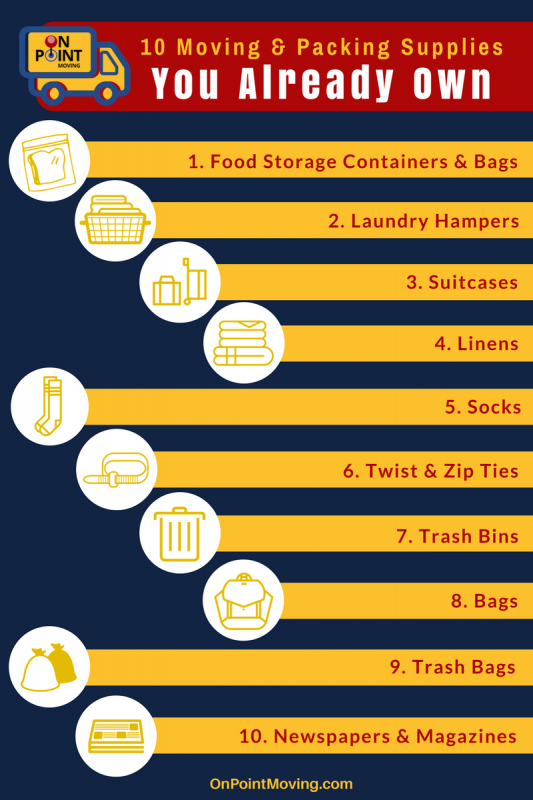 Most people, however, completely forget that they can repurpose conventional household items and travel gear during a move. Plastic food storage containers (tupperware), disposable plastic ziploc sandwich, freezer, and snack bags can be used to keep small items that should stay together during your move. This could include – batteries, screws, wires/electrical cords, etc. PRO TIP: you can even puff the bags up with air to create makeshift bubble wrap or cushion for boxes. throw toys are oddly shaped or bulky items, like shoes or pots and pans, into a hamper and secure lids (if they have one) with a zip ties. Need more room than your hamper can provide? Suitcases can also be used for your bulky and awkwardly shaped items. Additionally, if your suitcase has wheels, use them to store books, movies, games etc. These things on their own may not weigh a lot but a stack of books becomes heavy and difficult to move. Raid your linen closet for towels and blankets that can be used to wrap around your more fragile items. Use towels and blankets to wrap vases, plates, or to pad a tv or furniture. Call us crazy, but balls of socks are a great resource when you run out of packing peanuts. Socks are also great to use for smaller fragile items like camera lenses, small speakers, watches – the possibilities are endless – just stuff it right into your CLEAN sock. Unless your idea of fun is untangling a web of electrical cords and cables, then you will want to have twist or zip ties handy. They’ll keep your cables and cords orderly during your move. Make sure they are clean before you use them, but they are a great way to transport cleaning supplies and detergents. They will keep these items from rolling around in your car as most of these items will likely be considered hazardous materials that your mover cannot legally move. gym bags, purses, backpacks- don’t pack them in a box; make use of bags by filling them during your move. 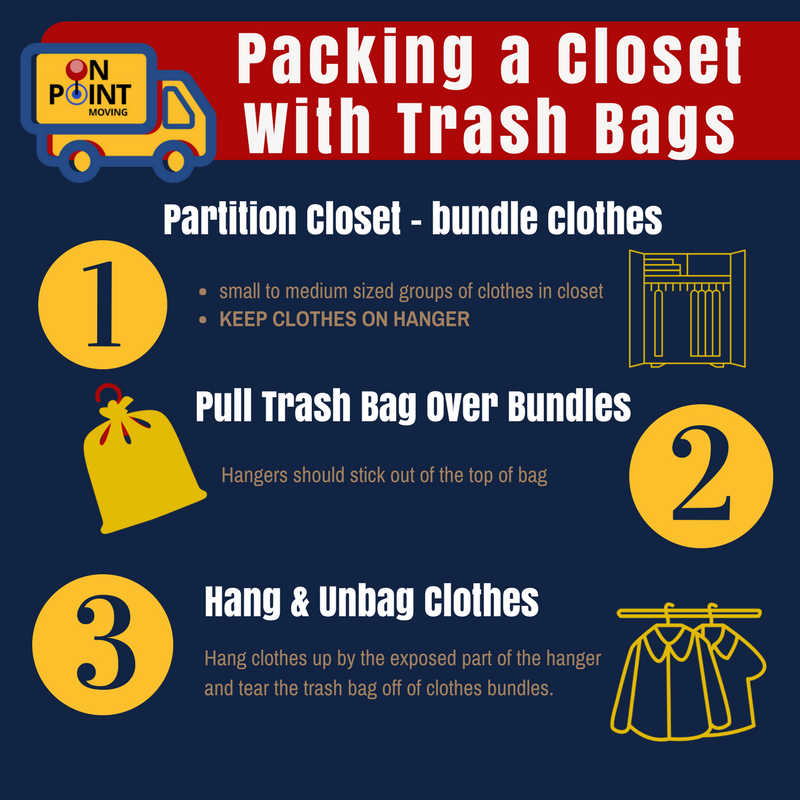 trash bags are hands down the best packing materials to move your wardrobe. Leave clothes hung in the closet, fill the trash bag with as many clothing items as will fit, tie the top closed with hanger loops on the outside. When you get to your new home simply hang up your clothes and tear away the bag. old newspapers, magazines, and junk mail make for cheap and easy packing materials. Wad them into balls and use them for padding or wrap your plates and other fragile items in them to prevent breakage. Before getting creative with packing materials you should come up with a strategy to pack all of your belongings into boxes and your new found packing materials. Do you have specialty items that are better left to a professional with the right equipment? Do you know what items are not allowed to be moved by even full service movers? 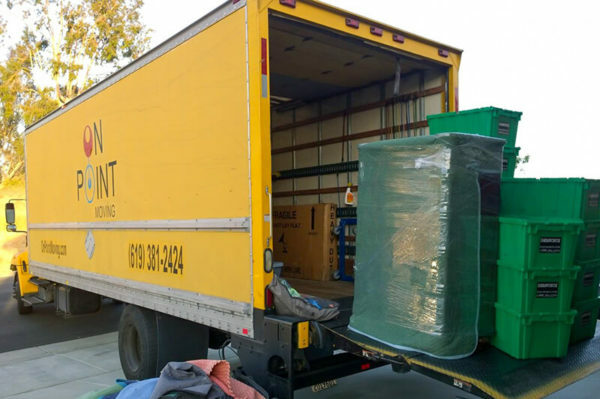 Once you have done your research – you’ll be happy you did – hire a moving company that will treat you and your belongings as one of a kind.